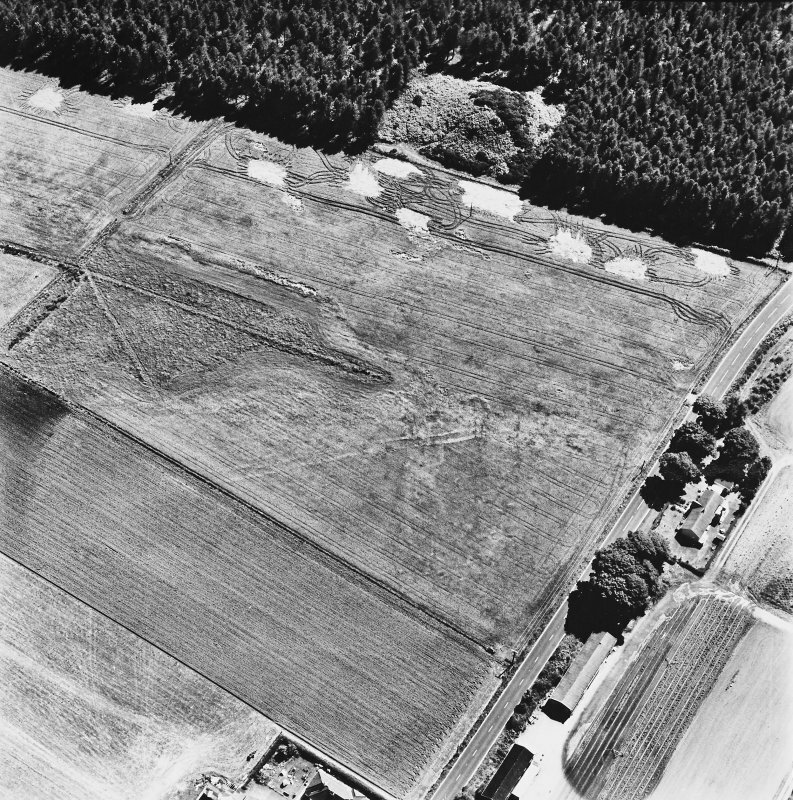 Dunragit, oblique aerial view, taken from the W, centred on a pair of linear cropmarks. Droughdool Motte is visible in the top right-hand corner of the photograph. Dunragit, oblique aerial view, taken from the WSW, centred on a pair of linear cropmarks. Droughdool Motte is visible in the centre right of the photograph. 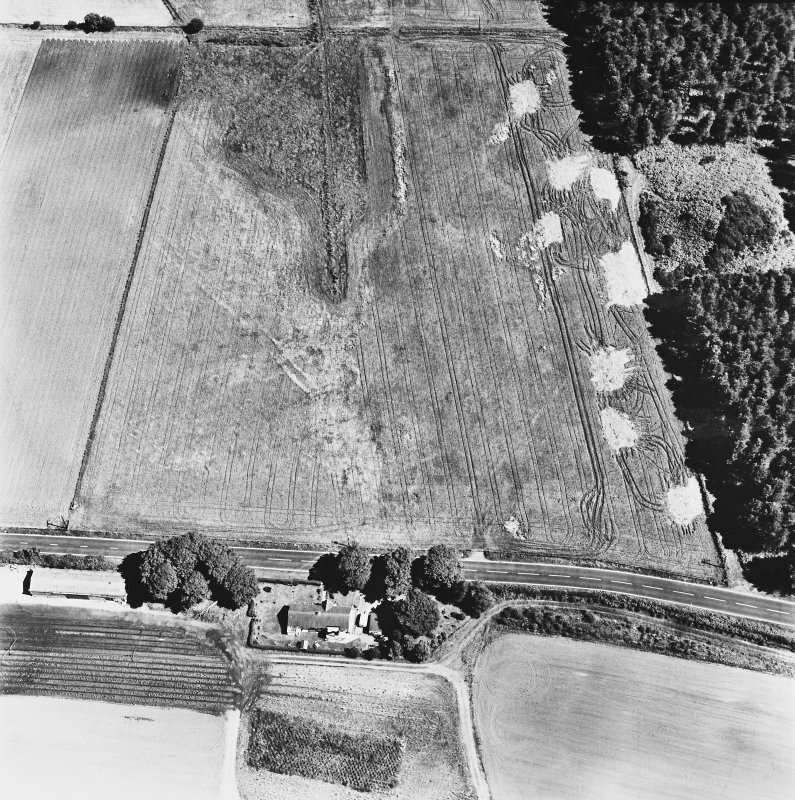 Dunragit, oblique aerial view, taken from the NNW, centred on a pair of linear cropmarks. Droughdool Motte is visible at the top edge of the photograph. 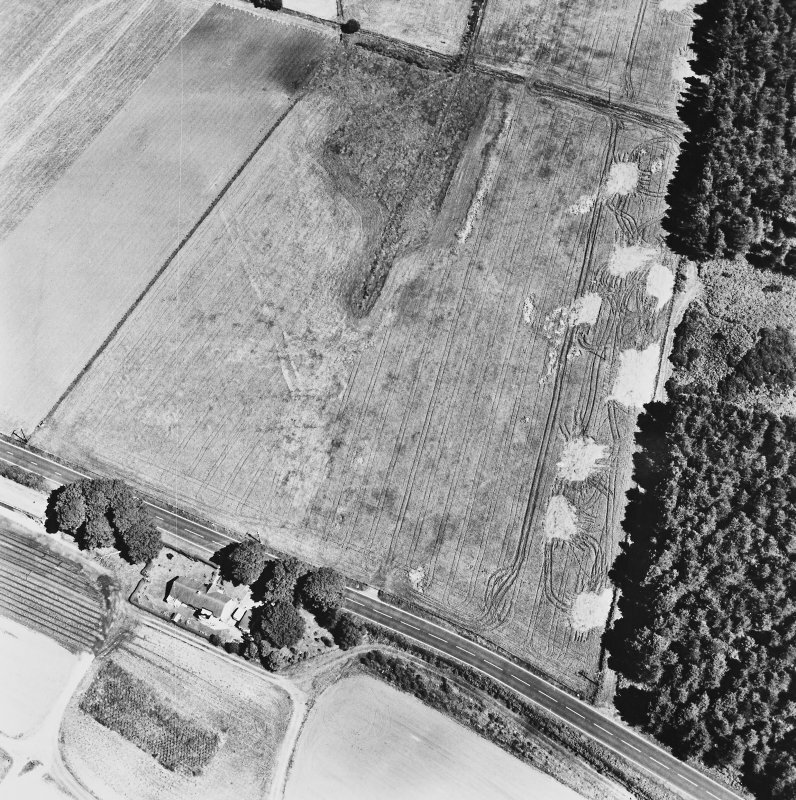 Dunragit, oblique aerial view, taken from the SSW, centred on a pair of linear cropmarks. Droughdool Motte is visible at the bottom edge of the photograph. (Undated) annotation on OS map. 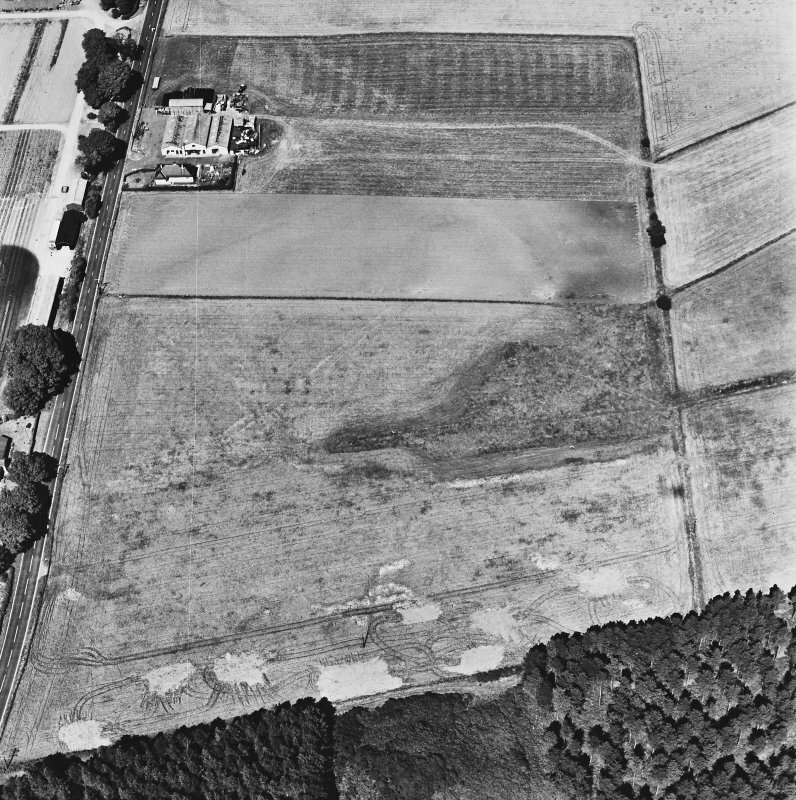 Motte (R W Feachem 1956): A round sandy hillock formed of angular stones and cobbles from the beach as exposed on the summit and at places on its flanks, with a diameter at base of 156' or thereby, rising to an elevation varying from 25' to 30' and with a level summit some 40' in diameter. It appears to have been erected on a slight natural eminence which projects somewhat beyond the base towards the east and west. At the base, passing around the north side, is a terrace some 10' in width. Watson erroneously places here the Fort of Rheged (the Mote of Drochdool is sometimes, incorrectly, called the Mote of Dunragit, for which see NX15NW 4). The Mote of Drochdool is an Anglo-Norman structure of the 12th century. RCAHMS 1912; W J Watson 1926; R C Reid 1952. As described by RCAHMS: the motte is known locally as Droughdool Mote. On level ground 1.2km ENE of Genoch Mains there is a prominent mound which is probably a motte. It appears to have been built on a natural knoll and now stands to a height of 10m on the NE; its roughly level summit measures about 12m in diameter. It is unlikely that a number of pits and gullies to the SE and E are related to the mound.